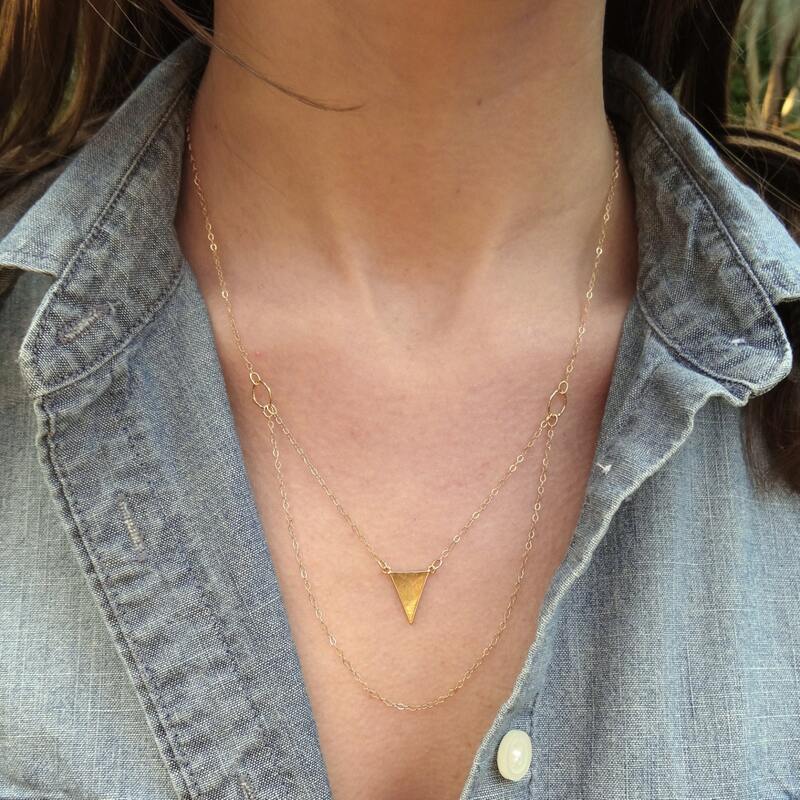 This gold triangle pendant suspended from a gold filled cable chain is the perfect everyday layer necklace. 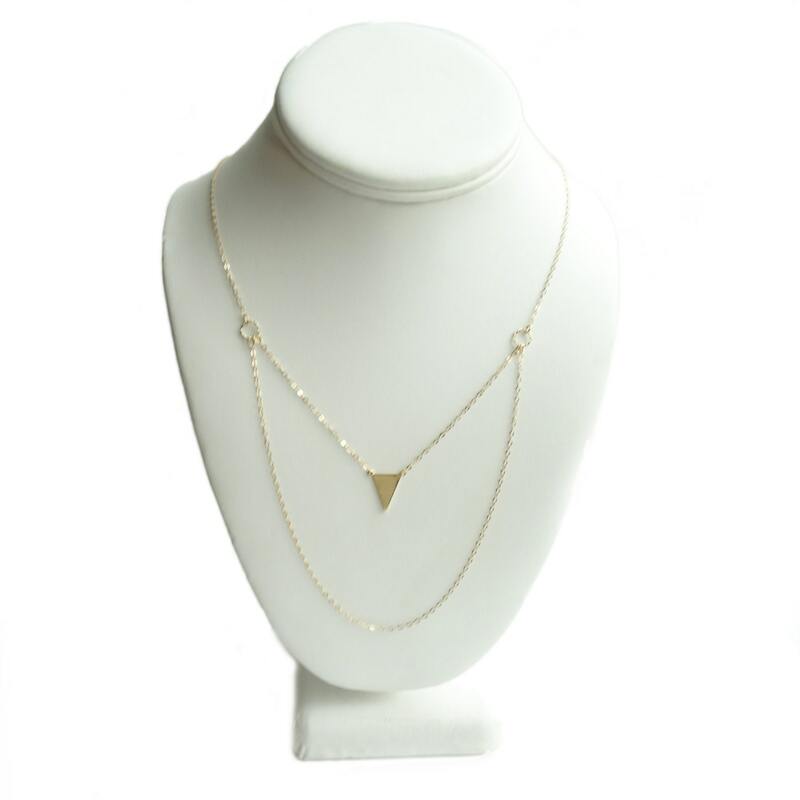 You'll love this piece - pretty enough to wear to a wedding, simple enough to wear to during the day! 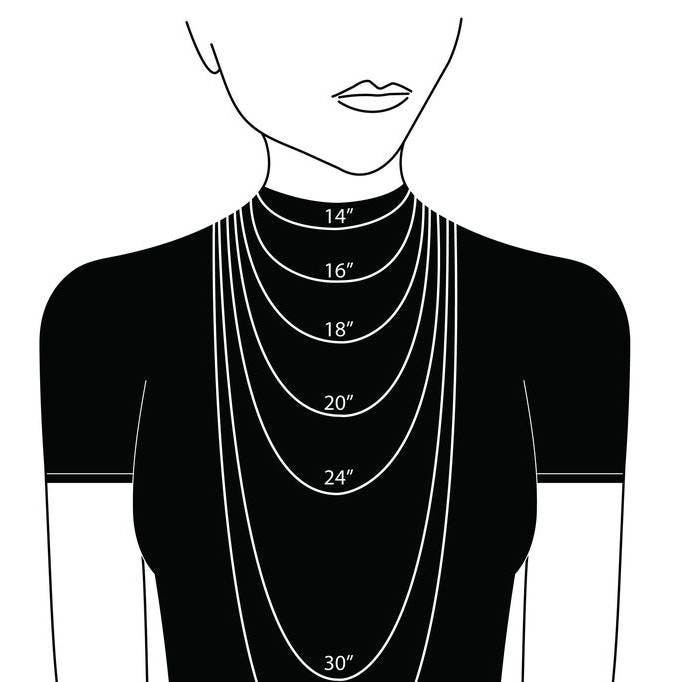 The model is wearing this necklace at 18". Thin and light, to wear everyday ! Very nice piece. Arrived quickly. Gorgeous and was perfect for my wedding day! Wonderful customer service!